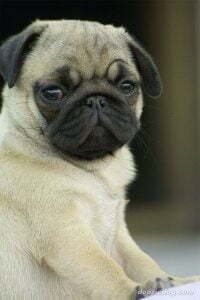 Also known as a mops hund or Chinese pug dog, the Pug strongly resembles a miniature mastiff with the black mask on its wrinkled face with a stocky, thickset body. A loyal and affectionate little dog who is energetic and good natured, you will have a friend for life. The Pug has uncertain origins with many believing that he dates back to 400 BC in Asia, whilst others believe that the Pug was brought back from the East by Dutch traders; which could also explain why he was once known as a Dutch mastiff. Pugs are excellent watch dogs although they don’t tend to yap excessively, which means that they will adapt well to life in an apartment or a huge mansion, they don’t mind.